Melt in the mouth moments to keep us awake. A writer, skillfully disguised as a Professional Counselor, Kim van Breda is passionate about counseling children and adolescents through play therapy specializing in Trauma Therapy and Trauma Debriefing. Hailing from South Africa, Kim enjoys the freedom to express her creative side by using writing as a therapeutic escape from an otherwise hectic lifestyle. The Bar None Group thanks Kim for allowing us to share Carousels and Candy Floss with our readers. A fun memories for me -- well, only because the next ride was high in the sky. 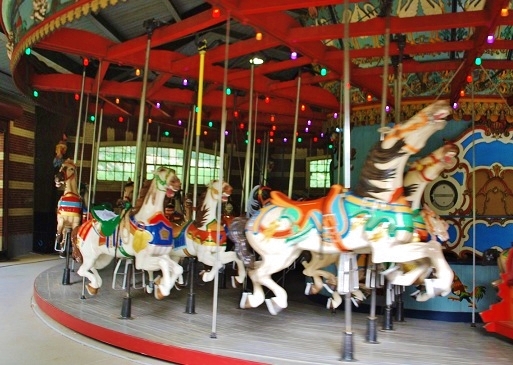 I always loved carousels. What a lovely and relaxing poem.